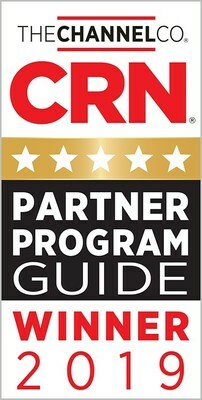 BELLEVUE, Wash., April 2, 2019 /PRNewswire/ -- Nintex, the global standard for process management and automation, today announced that CRN®, a brand of The Channel Company, has awarded Nintex with a 5-Star rating in its 2019 Partner Program Guide. Nintex's global partner program accelerates business for channel partners who, in turn, delight customers with powerful and easy-to-use process management and automation solutions that leverage the entire Nintex Platform. "Nintex is very committed to the success of our partners and customers," said Nintex CEO Eric Johnson. "Our business thrives because of the work our channel partners do every day with the Nintex Platform. Our customers benefit greatly from the industry knowledge and expertise of our partners who build process apps faster than custom code with Nintex, the industry's most complete platform for managing, automating and optimizing business processes."